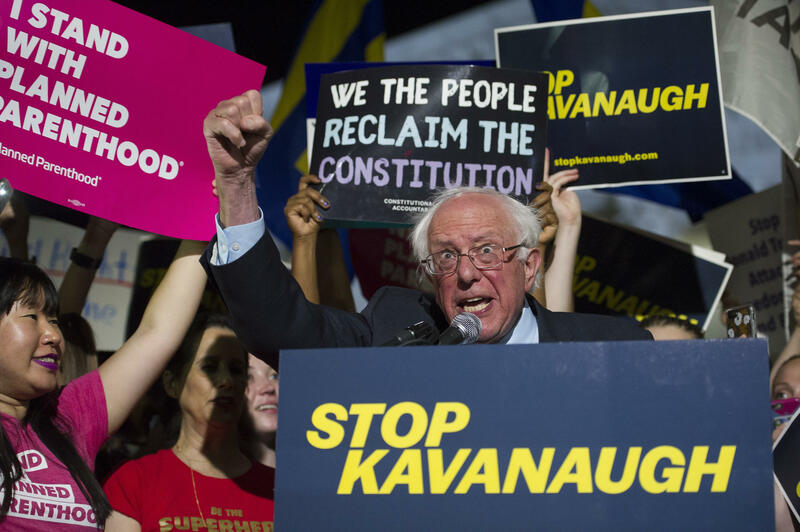 Sen. Bernie Sanders, I-Vt., speaks with protesters in front of the Supreme Court in Washington, Monday, July 9, 2018, after President Donald Trump announced Judge Brett Kavanaugh as his Supreme Court nominee. 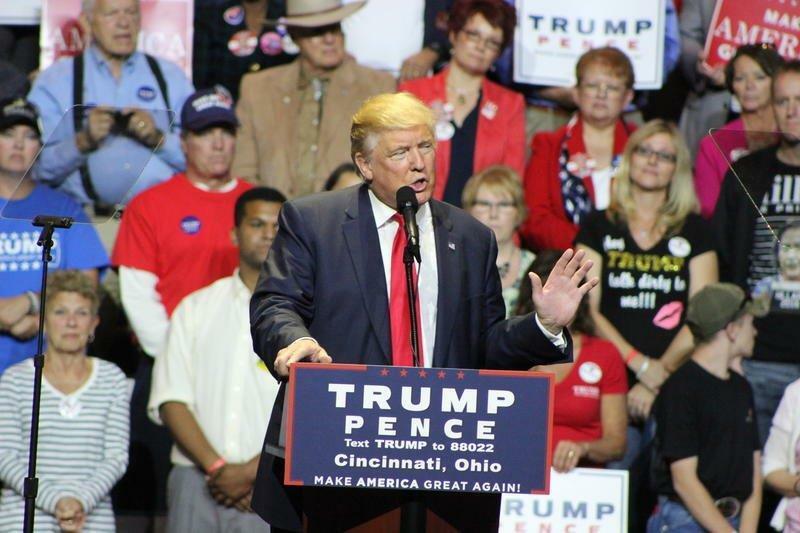 Instead, it's only been a trend of the last 30 years or so where "justices don't really cross over anymore," says Thaddeus Hoffmeister, a law professor with the University of Dayton. 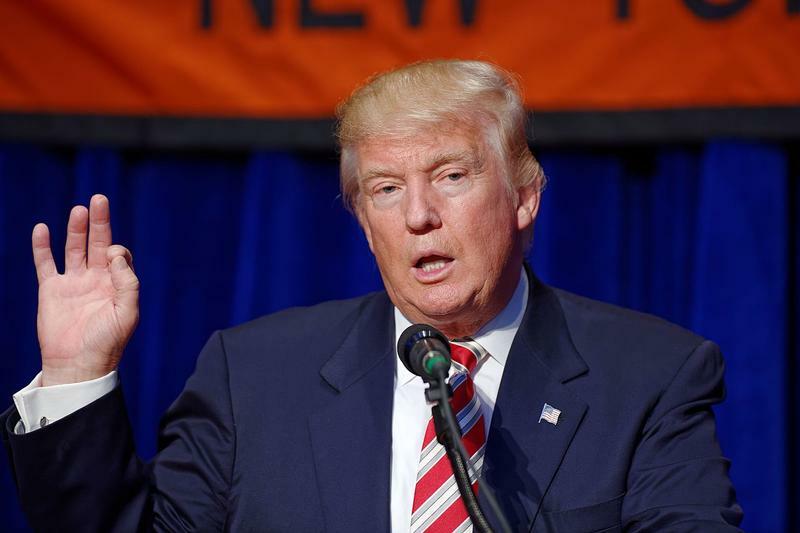 These days, Hoffmeister says, justices who are appointed by a specific president generally follow that president's ideology. "I'm not sure why that is now," he adds. "Some of it can be laid to blame that you don't have to put forward consensus candidates anymore. That was one of the benefits of the filibuster—it forced you to put someone who really needed a super-majority approval. Well, you don't need that anymore. You can put anybody you want as long as you control the senate and the executive branch." Which President Donald Trump and Republicans most certainly do. Democrats' chances of blocking a vote now are slim, though that could change come November, following midterm elections. Either way, "there's going to be a shift in the court and that's going to trickle down to all the lower courts because there's going to be a trend to go toward a more conservative view about how you interpret the Constitution and apply it to Americans," Hoffmeister says. 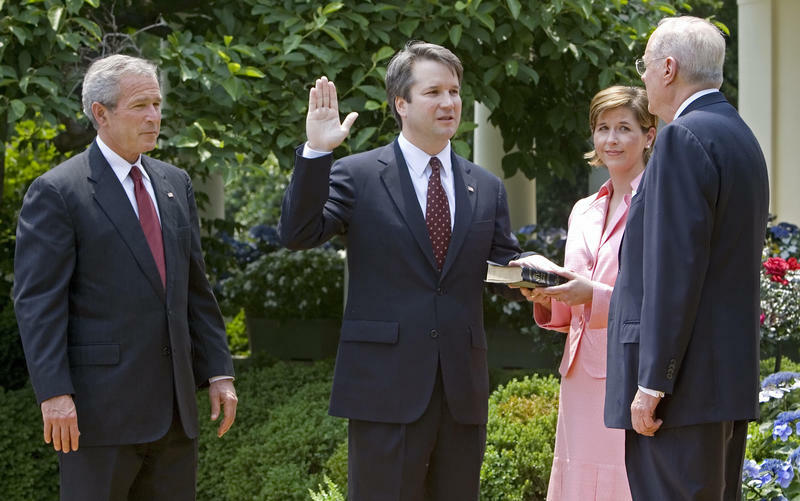 If appointed, Kavanaugh's conservative leanings will most certainly affect the kinds of cases brought before the court. "You're going to see people challenge the way the immigration policy is being enforced; I think you'll see challenges to how transgender service members are being treated," Hoffmeister says. "I don't know if the Supreme Court is going to pick up a gerrymandering case, but I could see them picking up affirmative action." A Kavanaugh appointment could also embolden states to change or modify laws on abortion, he adds. "In many ways, I see them trying to be more restrictive, and then someone is going to challenge that and then it’s going to go up (to the Supreme Court)." Still, justices aren't just proxies of the president who appointed them—they are their own people, with their own minds. Consider how when Republican Dwight Eisenhower picked Earl Warren to be Chief Justice in 1953, Warren later led the Court in a series of more liberal decisions, like desegregating schools and outlawing school prayer. Justice Harry Blackmun, appointed by Richard Nixon, authored the Court's decision on Roe v. Wade. Even Kennedy, when appointed by Ronald Reagan in 1988, was thought to be a straight-line conservative, but he leaves the court as its known swing-voter. While there is, of course, no crystal ball to look into to see how Kavanaugh would vote on any issues put before him, one thing is for certain. "(Kavanaugh) is a very smart man," Hoffmeister says. "He has stellar credentials."